South India is not only known for its coastal beauty but also for its lush green scenarios, which enclose the wildlife sanctuaries. Kerala has got one of the best sanctuaries of India like the Periyar Wildlife Sanctuary. Nagarhole National Park, BR Hills, Bandipur National Park, Eravikulam National Park, Periyar Wildlife Sanctuary and Kumarakom Bird Sanctuary are some of the sanctuaries that we will visit during the South India Wildlife Tour. Arrive Chennai. The Cosmopolitan City and capital of Tamil Nadu is the main gateway for travellers to South India. Upon arrival, you will be met by our representative and transferred to the hotel. The whole day is at leisure, Today we drive through the coastal route to Mahabalipuram (64 kms). 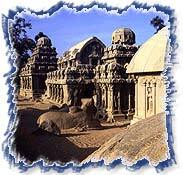 In Mahabalipuram we will visit some of the 14 cave temples and 9 monolithic rathas (temple chariots). Pallavamala was the ruler who made the port famous in the 7th century and was largely responsible for building the temples. In the afternoon we will visit the St George Fort. This fort is near the harbour area of Chennai and was built by the British during the 17th century. In the morning we will drive to Bangalore (288 kms / 6 Hrs drive). Bangalore is the capital city of the Indian state Karnataka. This former "Garden city" Bangalore is known today as Computer City of India. In the afternoon we drive through the garden city with its numerous avenues of Jacaranda, Gulmohar and Cassia, We will visit the Bull temple, which is built in the Dravidian style of architecture. This temple has a huge Nandi Bull carved out of a single grey granite and famous Gowda Fort, which was built by Tipu Sultan. We will also visit the Vidhan Sabha and downtown commercial centre. This Vidhana Sabha, which is built after independence, stands out by its imposing architecture in the neo Dravidian style. In the morning we leave Bangalore to visit Nagarhole Sanctuary (80 kms / 2½ Hrs). Its dense deciduous forests are the habitat of the Tiger, Leopard, Gaur, Elephant, Sam bar, Chital, Spotted Deer, Wild Boar, Langur and about 250 species of birds including the magnificent Malabar Pied Hornbill and the Great Black Woodpecker. We will enjoy guided safari of the park. Evening free for leisure. In the morning again we can have safari in the Nagarhole National Park and then we will drive (6 Hrs) along the forest stretch to BR Hills wildlife sanctuary. The Biligirirangana ranges of hills are picturesquely situated between the Cauvery & Kapila Rivers. At a height of 5091 feet above sea level, this hill stretches from north to south for about 16 Kms. All round are deciduous trees and roaming amidst the long grass and tall trees are animals. We will take a stroll through the sylvan surroundings. In the morning again we will have a stroll through the sylvan surroundings of BR Hills then, we will drive further (4 Hrs) to Bandipur National Park. In the afternoon we will visit the wildlife sanctuary in jeeps. Bandipur National Park is one the many reserves located within the forest belt between the Western Ghats and the Nilgiri Mountains. Most of these reserves are demarcated more by political boundaries than by truly physical ones. Bandipur lies in the southern state of Karnataka and covers a forest area of 865 square kilometers. It was declared a National Park in 1974 and is one of the original 9 tiger reserves under the watchful eye of "Project Tiger". Bandipur has a sizeable population of wildlife -The Royal Bengal Tiger, Elephant, Spotted Deer and Sambar, Gaur and Flying Squirrel, four horned Antelope, Nilgiri Langur and Sloth Bear. Amongst the reserve's most prominent animals are its 1900-odd elephants. In the morning we will visit Bandipur National Park and then from the tropical coast of Karnataka we drive (80 kms / 3 Hrs) on the serpent road and pass through the Tea plantation and eucalyptus forests on the mountains of Nilgiri and arrive in the city Ooty (Udhagammandulam). The British established this beautiful hill station in the early part of the 19th century in the Nilgiris or the Blue Mountains. Ooty lies at an altitude of 2300 m. and still has British flair. Evening free for leisure to enjoy the lakeside or the gardens. Ooty (also known as the queen of the Blue Mountains) is famous for its rolling hills covered in pine and eucalyptus forests and also for its coffee and tea plantations. In the morning we will visit the famous and most beautiful Botanical Garden of Ooty which covers an area over 20 hectares and is planted with more than a thousand varieties of plants, shrubs and trees including orchids, fern and alpine. We will drive further to visit Dodabetta peak, the highest in the Nilgiris. In the afternoon we will pass through the betel nut and pepper plantation and drive to Munnar. 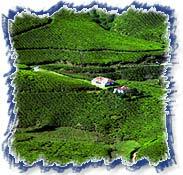 Munnar lies at an altitude of 1530m and is surrounded by Tea and Cardamom fields. Beautiful scenery in and around makes this place worth visiting. Today we will explore the surrounding on our own. In the morning we will drive to Eravikulam National Park. 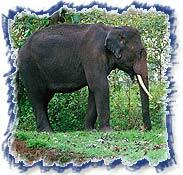 The Eravikulam National Park is situated in the Devikulam Taluk of the Idukki District in Kerala. The mountains covered with the rolling grasslands and high- level sholas is breath-takingly beautiful. This park spread over an area of 97 square km was established to protect the Nilgiri Tahr also known as the Nilgiri Ibex. The Rajamala is the natural habitat of this rare mountain goat. It was declared as a sanctuary in 1975 and it was declared as a National park in 1978. This park is divided into 3 regions -the core area, the buffer area and the tourism area. Visitors are allowed only to the tourism area, which is in the Rajamala region. Besides the Nilgiri Tahr other important fauna that we can see in this area are Elephant, Leopard, Tiger, Malabar Civet, Sam bar, Barking Deer, Nilgai and Langur. In the morning we will visit the park for wildlife and bird watching and then we will drive further (3 hrs) to visit Periyar Wildlife Sanctuary. We will start our day by having a Boat ride on the lake of Periyar. The lake of Periyar is the central point of the famous Periyar Wildlife Sanctuary. It covers an area of 780 square km and was designated a part of project Tiger in 1973. After the boat ride we drive through the Park and observe the activities of Elephants, Bison, Sambar, Wild Oxen, Wild Boar and Spotted Deer, which are common here. In the morning we will visit wildlife sanctuary and in the afternoon we drive through the mountains, which are full of Cardamom and pass through the tea and coffee plantations and proceed to Kumarakom (230 kms / 6 Hrs drive). In Kumarakom we will enjoy the Boat ride trip through the tropical vegetation on the backwaters. 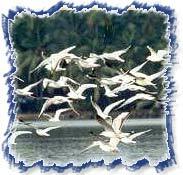 In the morning we will visit Kumarakom Bird Sanctuary. Earlier an old rubber plantation, Kumarakom was developed into a bird sanctuary on the banks of Vemband Lake spreading over 14 acres of land. It is now a leisure retreat very popular with foreigners. This sanctuary is on the southern bank of Kavanar River opposite the Coconut Lagoon. Kumarakom is home to numerous species of birds, such as Darters, Bitterns, Teal, Waterfowl, Cuckoo, Wild Ducks, Brahminy Kites, Marsh Harries, Teals and Herons and Siberian storks. We will visit the sanctuary by having a boat ride. In the morning we will drive (3 Hrs) to Kochi (Cochin). This drive gives us again an impression of the beautiful landscaping of this region. After our arrival in Cochin we will get refresh and have dinner before we depart to the airport.